The price of the cheapest item will be deducted from your order total. They are great for a wide range of craft uses, but if uniformity is important to you, then these will not be the beads for you. 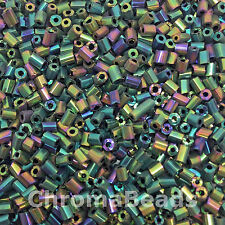 50g Green Rainbow - 2mm glass hex beads (2-cut). Finish : transparent, rainbow finish. Colour : Green. You will receive the beads in a grip seal bag, which can be resealed and reused. Length : approx 3mm. 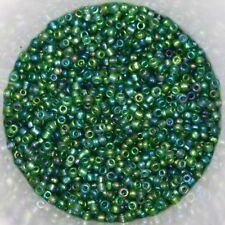 Use these flawless green beads to create a beautiful peyote stitch necklace or bracelet and achieve high quality results. Miyuki code 11-156. 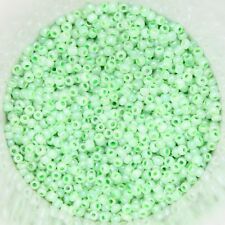 Seed beads sold in a 24g tube. Size 11/0 (2mm) seed beads. Colour: Erinite Green. Size: 2mm - ss6. 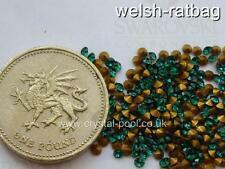 If you are looking for premium quality rhinestones at value price, then these rhinestones are for you. CHEAPEST ITEM WILL BE FREE. Material: Glass Crystals (Premium A Quality). Finish : Opaque glass with a lustre coating. The price of the cheapest item will be deducted from your order total. They are great for a wide range of craft uses, but if uniformity is important to you, then these will not be the beads for you. They're a lovely vibrant green with a brilliant sparkle. 50g Green Silver-lined. Colour : Green. You will receive the beads in a grip seal bag, which can be resealed and reused. Length : approx 3mm. Hole size : approx 1mm. Finish : Transparent, silver-lined. 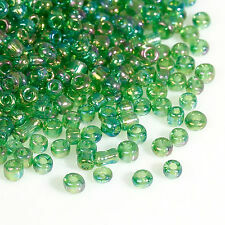 50g glass hex beads (2-cut) - Green and Multicolour Iris - size 11/0, approx 2mm. Colour : Green, and multicolour. You will receive the beads in a grip seal bag, which can be resealed and reused. Length : approx 2 to 3mm. 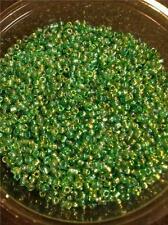 'Silver lined green' seed beads size 11/0 (2mm). 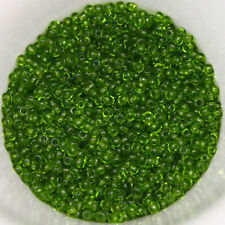 Japanese Seed Beads -50g. Size; 2mm (11/0) Hole size 1mm.